Free Shipping in the U.S. on Standard EMT Alerts. 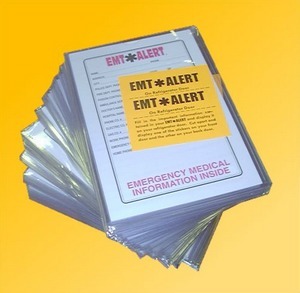 Standard EMT Alerts mount magnetically in plain sight and provide emergency information at a glance. EMT Alerts allow important medical information, names and numbers to be easily found and transported with a patient to a doctor or hospital. Free Shipping in the U.S. on all Value EMT Alerts. Value EMT Alerts contain all the important contact names and numbers you might need in an emergency right on the outside front. 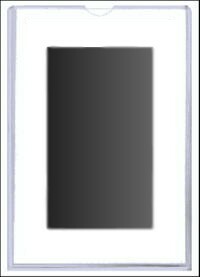 An EMT Alert is truly the cheapest health insurance money can buy. 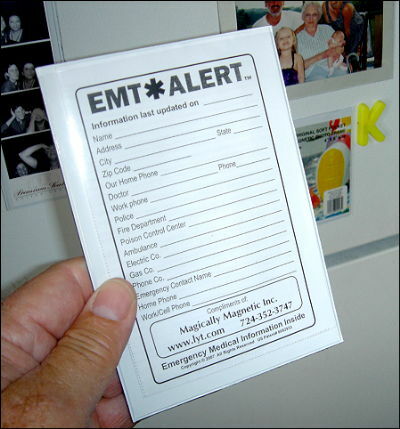 Crystal clear 4" x 6" Hard Pocket magnetic frame with a thumb notch holds the free EMT Alerts you can easily print at home.